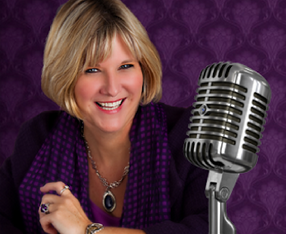 This coming Thursday, we are thrilled to have Deb Newman as our guest on Alzheimer’s Speaks Radio. Deb is a pioneer in the long term care insurance industry and founder of Newman Long Term Care – one of the largest and most successful long term care marketing organizations in the country. Deb’s focus is on helping people understand that planning ahead will allow them to finish life well. We are honored by your response to our offering of the Dementia Friendly Cruise. We just got back so there will be much to share in the near future! Glen Campbell’s Film “I’ll Be Me” Is Out And Worth Seeing! Call a theater close to you to find out if the movie is playing. If Not, Let Them Know It Should Be! Normally, I’m not a big fan of celebrity advocacy for dementia. I know many will say big names equal a big following, but when it comes to dementia we need more then people showing up one time for a performance to be entertained. We need people that are going to be emotionally touched by a celebrity performance or advocacy. Touched in a way that lasts long beyond walking out of a theater or event. One which shifts their perceptions and educates them at the same time. One that makes people think. One having a strong impact getting people wanting to discuss what they have just experienced. One that ignites a passion to join a cause effecting so many. One that develops compassion and creativity to make a difference. Glen Campbell’s Documentary, “I’ll Be Me,” Does Just That! Kudos to Glen, his wife Kim, his children, friends and peers in the music industry. Each of you played a powerful role in raising awareness for Dementia. You showed the true impact this disease has on everyday relationships. How it changes lives no matter who you are. How popular you’ve been or are, how much money made or currently have, where you live, how old you are… and the list goes on…. Nothing Can Protect You From This Disease. My hope is that one day soon one of the many big names in this film will take the bull by the horns and pull together a fund raising single, like a “We Are The World,” the benefit single for victims of famine in Africa. It raised over $60 Million, which was distributed to Ethiopia, Sudan, and other impoverished countries. Or better yet maybe a “Live Aid Concert for Dementia!” With so much talent, being just as vulnerable to this disease as the rest of us, they could truly make a huge impact on finding a cure and providing support services for those living with the disease. Just a few of the stars featured in this film who know and love Glen Campbell are: Bruce Springsteen, Bill Clinton, The Edge, Paul McCartney, Jay Leno, Vince Gill, Jimmy Webb, Blake Shelton, Sheryl Crow, Keith Urban, Brad Paisley, Steve Martin, Chad Smith and Taylor Swift. If you know any of these influential people or others in power positions, please reach out to them and have a conversation about pulling a star studded group together to raise funds to improve lives of people around he world. It is done all the time for major disasters. This Is A Major Disaster. It just doesn’t happen to be weather or war related. This is an international health crisis which will touch everyone in their lifetime on some level. A person every 4 seconds somewhere in the world is diagnosed with dementia. The numbers are frightening and our budgets to dealing with both research dollars and social support are embarrassingly low! It is time to come together as world. To join forces to improve lives and really make a difference. For all of those involved or who wished they would have been involved in this film, or for those like me who just saw the the film; I would love to have you on Alzheimer’s Speaks Radio to discuss why you felt this was an important film and how it had an impact on your life, what you are willing to commit to, to help raise awareness and educate others or to help support those dealing with the disease. What you would like to see in the future regarding dementia. What ideas do you have to make a difference to help shift our care culture? Contact Lori La Bey, founder of Alzheimer’s Speaks to be part of a radio show. I would actually love to set a special 2 hour show to allow people time to reflect and share their thoughts across the globe. For those of you that know me, you know I feel strongly about having open and honest conversations which allow us to shift our care culture for Dementia from Crisis to Comfort. Kudos to the Glen Campbell family and those involved in making this incredibly honest film. What a beautiful gift to the world this was. I’m sure the family has taken some heat for exposing this disease and what some might say as “using” Glen in the process. I know what that feels like. It’s awful. My own mother had the disease for 30 years. We had plenty of time to discuss how to leverage an awful disease, an awful situation and make it beneficial to others. There is power in having purpose. Glen shinned through in this film even as the disease nibbled away at him. Glen had purpose. He was able to link to what he loved and could do it way longer then the doctors ever imagined possible. Sharing true loving stories of real life is never a bad things, once we step outside our egos and understand it’s for the greater good.